Most young women growing up in Yemen have few opportunities for higher education and professional jobs. But Sahar Abdullah’s parents believe that higher education plays an integral role in personal development, so they strongly encouraged Sahar and her sister to continue education after high school. 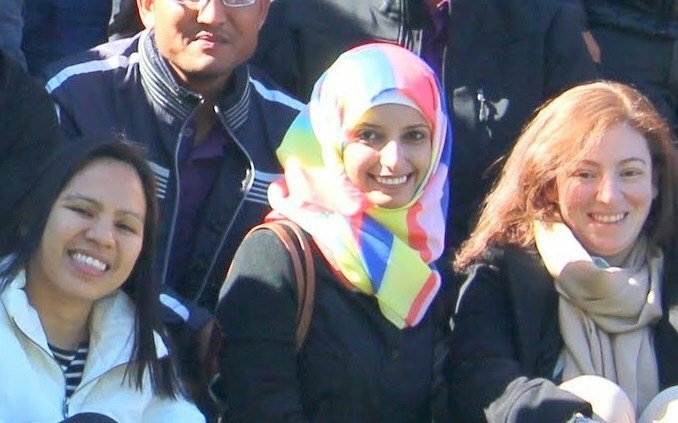 Because Sahar was one of the top secondary school students in Yemen, she received a scholarship to study for her bachelor’s degree in Egypt. Her love for programming and problem solving led Sahar to choose computer science as her major. 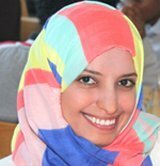 At Cairo University she successfully completed her bachelor’s degree in Computer Science and master’s degree in Information Systems, and completed a Cisco diploma at American University. 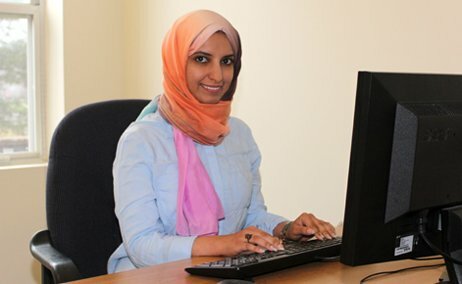 After learning about our unique MS in Computer Science in a LinkedIn message from MUM, Sahar kept thinking that one master’s degree was enough–but the idea for a second master’s emphasizing OOP software development kept popping into her head. So she decided to research Maharishi University of Management and our MS in Computer Science for Computer Professionals program, and joined our Facebook group. When Sahar realized that many Arab students had happily and successfully enrolled in this program, she decided to apply, and was accepted for the October 2014 entry. Even though she is far from her parents and sister, and misses them very much, Sahar’s family is relieved to know she is in a very safe and completely supportive environment at MUM. In January, Sahar will begin her IT career as a Software Engineer at Intel in Oregon where she will be part of a product development engineer team. Her job will be transforming designs into competitive products, and testing development for microprocessors, system-on-chips and chip sets. We wish her great happiness and success, as we stay in touch with another special member of our world family.